Franke Tobey Jones and University of Puget Sound share a common ancestor, so working together made perfect sense. Senior University offers a wide array of educational, cultural, social, and wellness programming with a focus on topics of interest to area adults 55+. 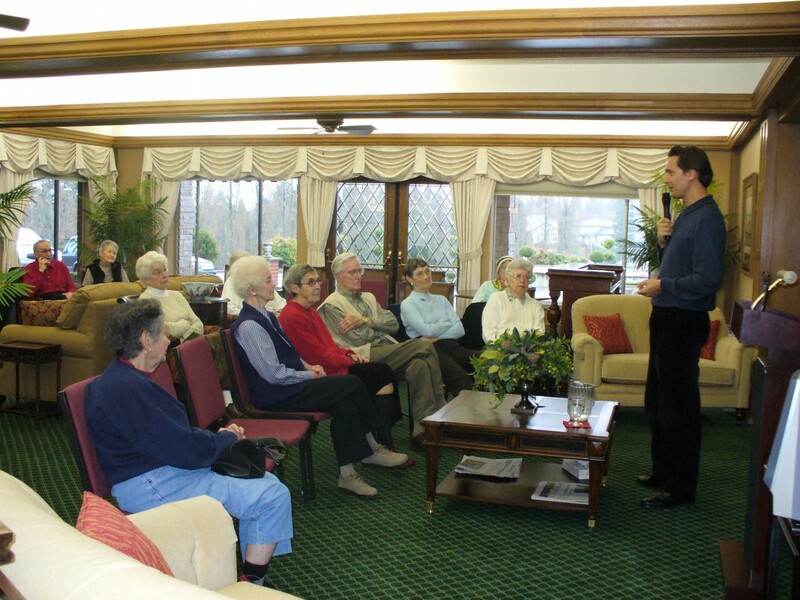 Classes are offered on site at Franke Tobey Jones Retirement Community. Puget Sound faculty lecture on a wide variety of subjects, including the search for extraterrestrial intelligence, the politics of aging, Shakespeare, investment and estate planning, the arts, and health issues seniors face today. The courses are free of charge and offered twice a month to the greater community as a public service. It is the only program of its kind in Pierce County.